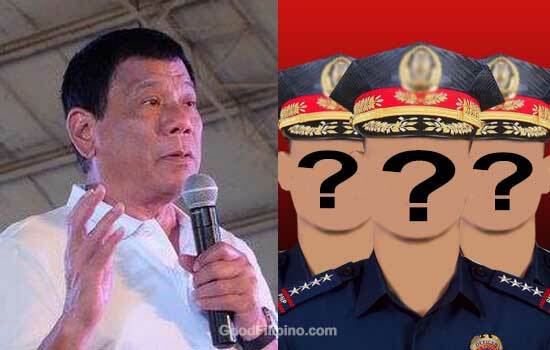 The incoming president of the Philippines announced his 'warning' for the three 'corrupt' Philippine National Police (PNP) officials in the 'DU31 Thanksgiving Party' at the Crocodile Park in Davao City on June 4, 2016. President-elect Rodrigo Duterte advised those 3 'corrupt' PNP officials to resign or he will humiliate them on public. He said, "Corruption must stop. I would have to ask about three generals diyan sa (Camp) Crame to resign. Do not wait for me to name you in public because I will only humiliate you." Duterte also promised to review all dismissed cases of police officials under his administration. Because Duterte believe that most of the policemen were able to avoid conviction. Duterte said, "Lahat ng mga pulis na na-dismiss ang mga kaso will be reviewed." On the other hand, the tough-talking incoming president Duterte refused to identify the name of the three generals. He also mentioned those policemen who involved in illegal drugs and has pending case to stop their illegal activities or they will die. He said, "Lahat ng pulis na wanted at may kaso ngayon, you have to…either kapag nandiyan ka pa sa droga ipapatay kita. Don’t take it as a joke. Di ako nagpapatawa, P***ng i** papatayin talaga kita." During his speech at the thanksgiving party, he urged citizens to arrest drug traffickers in their community. He assured that the ordinary citizens can shoot drug traffickers if they resist arrest and put people’s lives in danger. "If he fights and fights to death, you can kill them," Duterte said. President-elect Rodrigo Duterte said he would even give a medal to citizens who would do it. Comments or suggestions about "Duterte to 3 'corrupt' PNP officials: 'Resign or I will humiliate you'" is important to us, you may share it by using the comment box below.